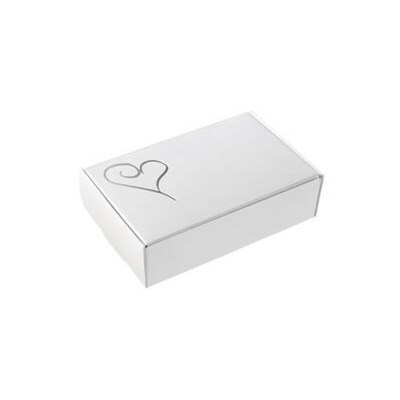 These contemporary heart cake boxes are the perfect size to give your guests a generous piece of wedding cake. Co-ordinate these cake boxes with other products in this range to create the perfect wedding table. Supplied flat for easy self assembly. Size approx. (H) 2.5cm x (W) 10cm x (D) 6cm.